Southern Style Catering is a premiere catering service owned by South Central Regional Medical Center. Southern Style Catering has been providing quality service that you have come to know and expect for over 20 years. If you are interested in catering options – large or small – please contact Southern Style Catering. The catering offers services for weddings, receptions, teas, retirements, parties and meals. Drop-off delivery is available for do-it-yourself parties. Customized party dishes will be quoted at current prices upon request. 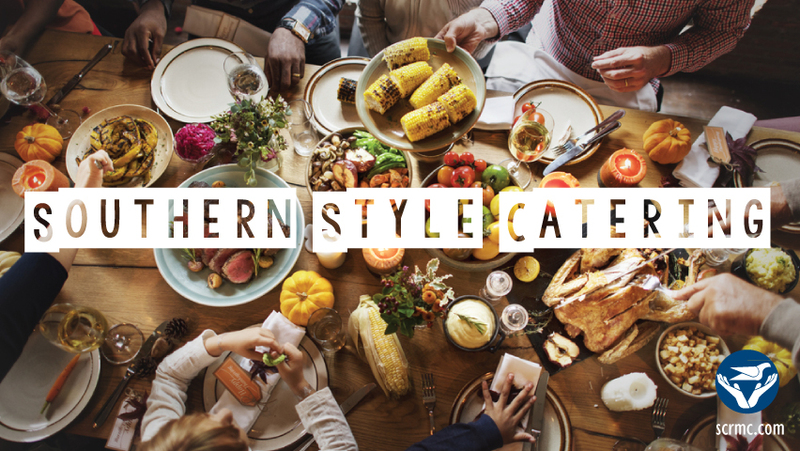 Southern Style Catering is here to help keep your holiday stress-free. Southern Style Catering offers a full menu of items. Orders for Christmas can be placed through Thursday, December 13th. Click HERE to view the full menu for Christmas orders. *Orders will be ready for pick-up on Monday, December 24th at SCRMC between 7 a.m. and 12 noon.